10 Things You Should Know Before Planting A Church. Home Article Category Body of Christ Browse Church Church Growth Church News Church Planting Entrepreneurship Featured Articles 10 Things You Should Know Before Planting A Church. Now that God has clearly spoken to you to start another ministry or an extension of your local church under your leader you should know the process. The process is a very fearsome process especially without knowing what will befall us when we start. The process involves foundations-witnessing/winning-gathering/follow up-establishing-training-multiplying. It is a process. You have to be willing to go through the process. · Falling: period of being unknown, rejected, denied, mocked, denounced and refused. Isolation, rejection and separation are part of real ministry. For Jesus it was 30 years, Joseph had the same experience. · Dying: the seed decomposes. It changes its character and appearance. This time will build your personal relationship with God and also build humility in you. · Resurrection: at this time the dead seed arises from the dead yet the same does not attract too much attention. However, this is the time some very important people will join you. Some of these will be with you forever but some will come for a season, lift the church to a certain level, then leave. Do not be disappointed. · Bearing much fruit: there comes a time when your ministry will flourish depending on other aspects like your administrative skills and the like. Consider the challenges. This field is not easy. Decide you will go all the way regardless of circumstances. Life will always have people who will not join when the church starts but join when it is in motion. Bigger churches are relatively easier to grow. People want to jump into a boat moving in the waters and not to push the one in the shore-sand! Never be desperate like being financially dependent on the church you will be planting. 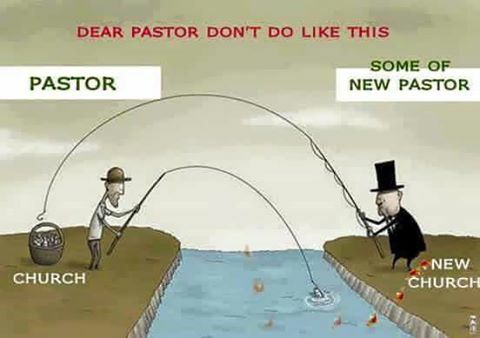 A small church cannot usually take care of its own pastor, let alone its own expenses. 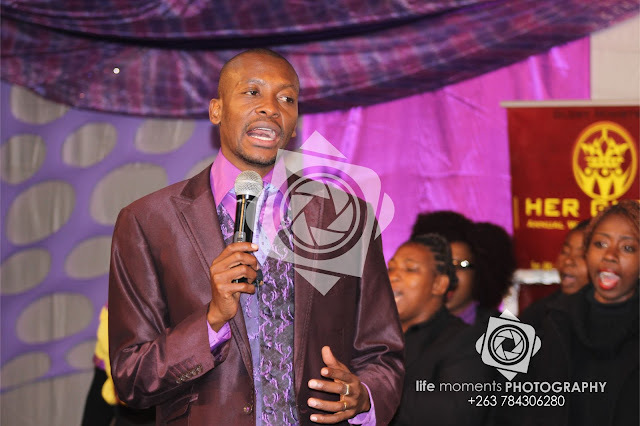 Even churches with a 1000 people are struggling! Find a job and start as a lay pastor. Instead, invest in the work! 3. Two or three is enough! According to Matthew 18:20 a church is constituted of 2 people. The beginning of a work is always miserable. The only person you need at the start is you. Look at Isaiah 51:2 and Job 8:7. Proverbs 28:22. Being in a hurry makes people commit serious sins in their early days that will affect the rest of their ministry. They break other churches, criticise other with the sole reason to win people to them. With patience the Mustard-seed Church will get to be a Mega-Church. These are the most important people. It is these who usually determine the height of your ministry and even when you get them, you must develop them. Ask God for labourers Matthew 9:38. Ask God for genuine sons and daughters of the vision. It is an obvious thing that while you are very small you yourself have struggles believing that you will really grow. You need to encourage yourself in God (1 Samuel 30:6).-encourage people here! Now if you can be this discouraged it means the few members could be thinking, ah this man is mad, he thinks we will build big churches, mercy! Encourage them: Job 8:7, Zechariah 4:10. Tell them that they are privileged to be the first, to be the history-makers: the foundation of a building is the most important part no wonder no other apostle will stand up in the same rank as the first 12, Ephesians 2:20. Do not vent your frustration on them making the mistake of rebuking them publicly and shouting at them, it is not their fault the church is small. Preach faith, and a hope, stabilisation, a better tomorrow. People always love to hear that tomorrow will be better and a leader who is stronger than them. Teach anagkazo(compelling) and anaedeia(shamelessness) and live these because it is always shameful to start a church with few people. Encourage your subordinates to speak well of the ministry. Do not just be a motivator but be a true father or mother to them in all aspects. Love is the power behind and the thing that moves the Kingdom. You must be shameless in witnessing to people and leading them to Christ. Use all ways you can to win people to Christ, invite them to church. If visitors do not come back do not be depressed. As the church grows, some you started with will begin to leave the church, do not be distressed. The principle of what you sow you reap will apply even though many may be leaving, God will reward your effort somehow. Apostle Pride Sibiya takes out a few leaders for training every year. • Being discouraged by “church shifts”, church ‘A’ and church ‘B’ or even fluctuating numbers. • Never count or keep the church’s money but manage it! • Never discuss other people’s problems or issues if that will be hurtful if heard by them. • Do not rent a place too expensive for you. • Do not have a love affair with anyone without the express agreement of the influencers in the church. What are most important are human resources! Adopted from Bishop Dag Heward Mills.